Please call for shipping rates on items 5lbs and up. 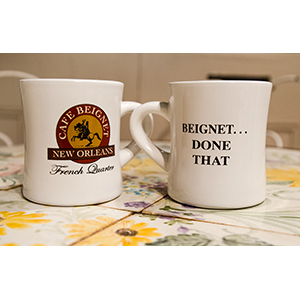 International Orders: Sorry for the inconvenience, but we are currently not shipping outside of the U.S.
Café Beignet is a taste of New Orleans that you can't get anywhere else! We now offer gift certificates that can be purchased online and will be directly mailed to the recipients. Certificates can be used in the restaurant or in our gift shop online. Certificates can also be customized for birthdays, holidays, and more! 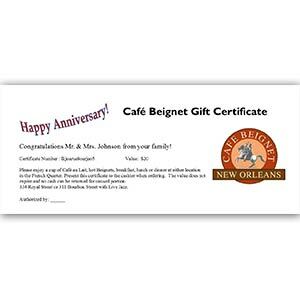 Special Certificate for an Authentic New Orleans Beignet breakfast for two! Complete with two orders of beignets (3 per order) and two small Café au Laits. Beignets are served all day at either of our locations. Not everyone gets the opportunity to make a visit to New Orleans. 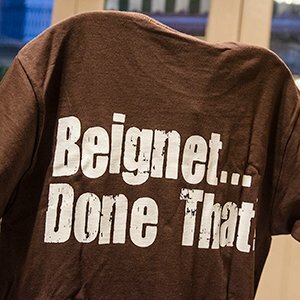 Show that you’ve been with your own “Beignet…Done That” t-shirt! Beignets should be freshly made and served for the sweet taste of New Orleans. Because of the frying technique used to produce the golden crunchy outside, shipping prepared Beignets is not possible. But now you can make your own! 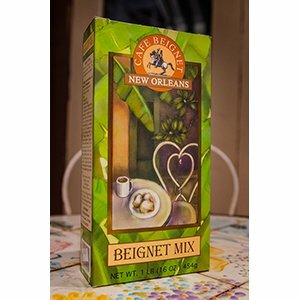 Boxed attractively enough for gift, the one pound box of beignet mix will make 24 beignets of a little larger than a 2" square. 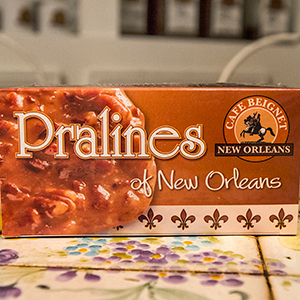 There’s nothing better than a New Orleans praline that melts in your mouth. 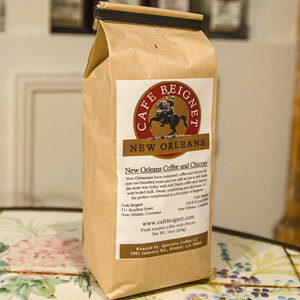 Now you can bring that experience to your own home with a box of our original Café Beignet Pralines. Enjoy a cup of your favorite coffee with our ceramic coffee mugs.